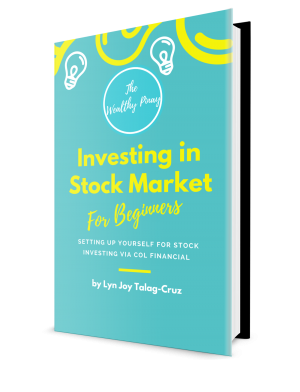 I realized that after going through all the efforts of writing the content, editing, proof-reading, creating the landing page, the works – I never wrote a dedicated blog post about my Stock Investment for Beginners ebook. When I first came across the term ‘Financial Independence’ almost 5 years ago, I’m immediately intrigued. I researched it and have decided that I want to be financially free by 2020. Experts say that they’re various investments that generate passive income – real estate, businesses, royalties from books, and dividends earned from stocks. That time, I really don’t have any money to buy real estate, I’m scared to venture into business, and writing a book is out of the equation (the fact that I’m in the final stage of publishing my book now is mind-boggling, to say the least), stock investing seems to be something I can easily do while being employed so I started researching. I researched, researched, researched. Lots of the articles I read were good and insightful but none of them teaches the basics. Being a novice, my concern is not about if the company is ‘blue-chip’ or not, the only burning information I want to know is how can I buy Philippine stocks! What should I do? Where can I go? I want step-by-step instructions on how to do it yet it was difficult to find that information. I asked few people then if they know stock investing but none can help me. After several weeks of unfruitful research, I ditched the stock investing idea. In October 2017, while browsing on my Facebook timeline, a friend mentioned that she’s into stock investing. She was recommending Bo Sanchez and his company. Honestly, it’s my first time to hear about Bo. I don’t know him nor his Truly Rich Club before (although I saw an old email (sent 2013) from my sister forwarding me one of Bo’s newsletters. Funny how one can pass up an opportunity just because we’re not paying attention). Out of curiosity, I read their sales page and something inside me said that this is what I need. 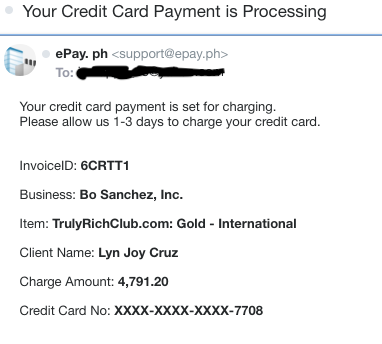 I bought an annual membership for Php 4,791.20. It’s a bonus that Bo Sanchez is giving ‘advice’ on what stocks to buy and sell. I shared the tutorial to Gibson and he opened his own COL Financial account as well. Gibson has way much bigger stock portfolio than me which is fine. Since I don’t have a Philippine bank account, I will just ask him to deposit money to my COL Financial account from time to time (usually when I remember) and then buy stocks from big companies. I don’t regularly check my portfolio nor get bothered with the ups and downs of the market since my investment strategy is long-term. After 1 year of joining TRC, I didn’t renew my subscription. What I really want to gain from them is the ‘basics’ (which I learned) and I think I’m ok not receiving his monthly stocks suggestion. I don’t really follow them anyway. Why am I sharing what I know? Obviously, I’m not sharing TRC’s materials to you because I don’t want to go to jail. I created my own guide based on how I did it – from the very first step until you buy your first stock (and sell if you want to sell). I took screenshots of each and every step because I want them to be easily understood, the way how I want all my lessons to be. 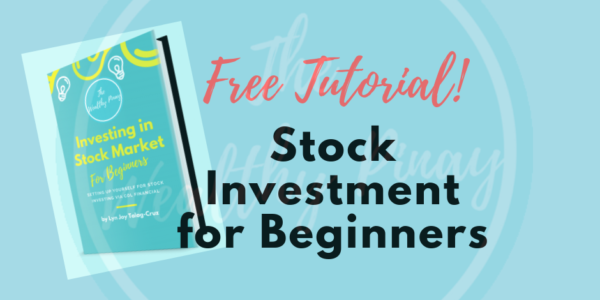 The Investing in Stocks for Beginners might be too basic for some, but then they’re not the intended reader of this tutorial anyways. This ebook is for someone like me before who are looking for the very basics. Now, this tutorial will not give any advice on what to buy because I’m not pretending to be an expert. Although my top tip is purchase stocks from companies who you can envision to be still existent for decades such as PLDT, Jollibee, Ayala, Meralco, and the likes. Don’t time the market (bull or bear), just consistently invest into your account. Why am I sharing the knowledge for free? I paid for this, so why do I even want to tell people about it? I always say this – Sharing is Caring. Overused quote, I know, but one of the mantras I live by. I believe that sharing money, time, and knowledge is a sign that you care. And I always care for you. I want you to be happy, to be healthy, to be loved, to be wealthy. I want you to live the life you have imagined for yourself. Obviously, there are things that I can’t just give away for free – like my body, choz 😂 but I will share the things that can help you kick-start building a positive financial mindset. I’m not expecting you to be a financial genius. And please don’t expect to earn millions from stock investing. By trying different financial vehicles, what you’ll gain is the confidence which is way valuable than the money itself. You can start stock investing as low as Php 1000 and if you don’t have 1000 to spare, then madami tayo dapat pag–usapan!